We have three private dining rooms that are perfect for a private dinner party of any size from 15-150. Known for outstanding service, the authentic “churrascaria” offers more than 10 flavorful cuts of meat including lamb, pork, chicken and beef on skewers carved tableside by gauchos. In addition to several cuts of meat, the continuous service includes a trip to the fresh and bountiful salad bar followed by a basket of traditional, mouthwatering pao de queijo (cheese bread). Fried bananas, buttery garlic mashed potatoes and fried polenta are served family style. 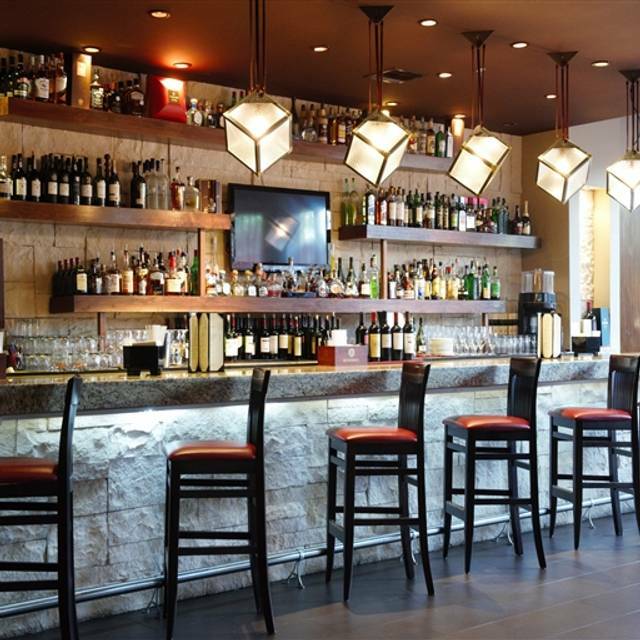 An excellent, extensive wine list and authentic Brazilian cocktails complement the unlimited fare. At our restaurant we are proud to bring you all the tradition behind the unique and original Brazilian way of serving meat. Food doesn’t stop arriving until you’ve had enough. Whether it’s a cocktail reception, class reunion, corporate picnic, magnificent wedding reception, or any occasion we can create a great event fueled by our passion for perfection. The house's speciality. The prime cut of the sirloin. A favorite among many, served simply with a light sprinkle of sea salt. Choose from our chicken breast or filet wrapped in bacon. The bottom sirloin. One of our most flavorful cuts. The beef rib. The rich marbling provides both the flavor and texture. The most tender and juicy cut of meat with a light sprinkle of sea salt. Selected from the succulent rack of pork ribs or the loins dusted in parmesan. A perfect pairing! Marinated chicken drumsticks or pork sausage. Flavorful leg of lamb or rack of lamb seasoned to perfection. We had the best experience we have ever had at a churrasco in the States. 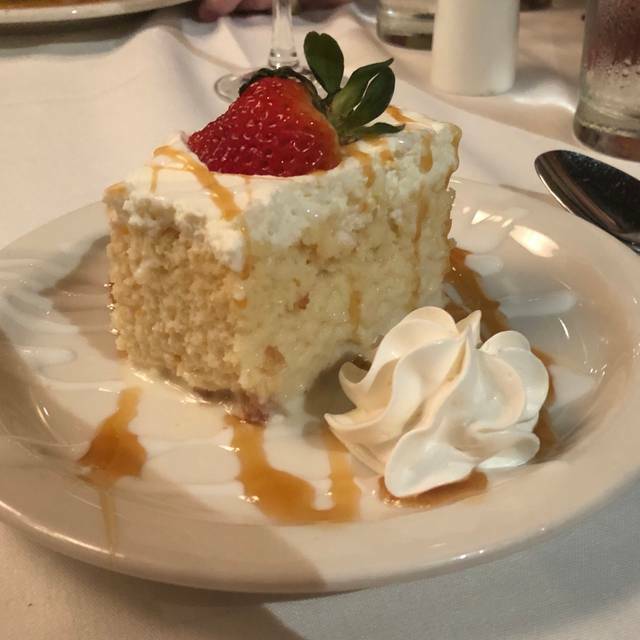 From the second we walked, the hostess was very polite and welcoming, all the staff was so friendly and made sure we had anything and everything we needed for our meal. The quality of the food was amazing and we will definitely be back next time we are in the Houston area. Apart from the fact that when I got home, I realized that they had made me pay for 4 people when we were 3 ... I found it all very good. Service was amazing. The servers were very attentive , kept our drinks filled and made sure we were doing great. Food was delicious and there was plenty of variety. This was my first time here. Great atmosphere, waiters were always on top of things. Anything we needed (extra plate, refills on drinks....etc) they were fast and prompt. Kind of pricey but well worth it. I will definitely visit this place again. Excellent food, in particular the ribeye and fillet, although it would have been nice to have more pork and chicken choices the day we went as my companion cannot eat beef. Very attentive service, everyone was friendly and frequently refilled our wine glasses, made sure everything was alright, etc. My companion and I laughed at how the staff seemed to be more focused on filling my glasses than hers, and we did wait a while for some of the non-beef choices which was finally remedied by a manager. The wine is a bit expensive, although it was everywhere we dined that weekend. So good! 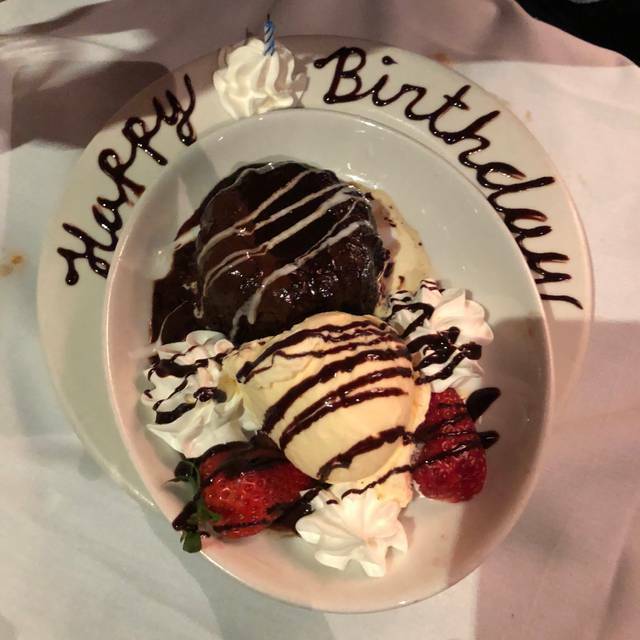 Great food, exceptional service! From the moment we got to restaurant until we left, the staff the food, the drinks were all great . Love this place. Excellent food, nice atmosphere, wonderful drinks, everything was nice. The side orders were fried sweet bananas, and rice with bits of beef in it. I wasn’t too crazy about the rice but the bananas were on point. The servers came around often to refill drinks, add more bread to the basket, and were attentive to our needs. The salad bar is really good also. It has a lot of variety the potato salad is delicious the wedge salad is delicious they had a creamy chicken soup as well but it was lukewarm so that was the only tiny little thing that I didn’t really care for I would’ve preferred that soup to be really hot. This Brazilian restaurant is one my favorite. I took my great nephew and his girlfriend here for their first Brazilian Steakhouse experience, it was a hit!!! They are from a small town and got to experience several food selections that they had not been exposed to before. I work hard to be the favorite uncle and Chama Gaucha is helping me keep my title!!! Thanks. I didn't have luck this time since I was in the middle of the table against the wall so the access was not as easy as the others in my table and as I wanted the meat medium well and they only had medium they kept forgetting me and then bring it well done, so decided to eat whatever they bring and asking for it (almost always skipped me). The food was good but not as amazing as I had it before. They also forgot my lemonade. Definitely I did not have luck this time but my brother enjoyed it so will not complain. Just few minutes after we ordered our food, the power was off. We were almost in the dark. The manager and waitress kept coming to apologize and bringing extra appetizers to us while we were waiting. Fortunately, the power was back on. The food was delicious as usual. When we left, they gave us a little gift as a token to appreciate our coming and apologize for the power shortage again. We love this restaurant for the food and service! 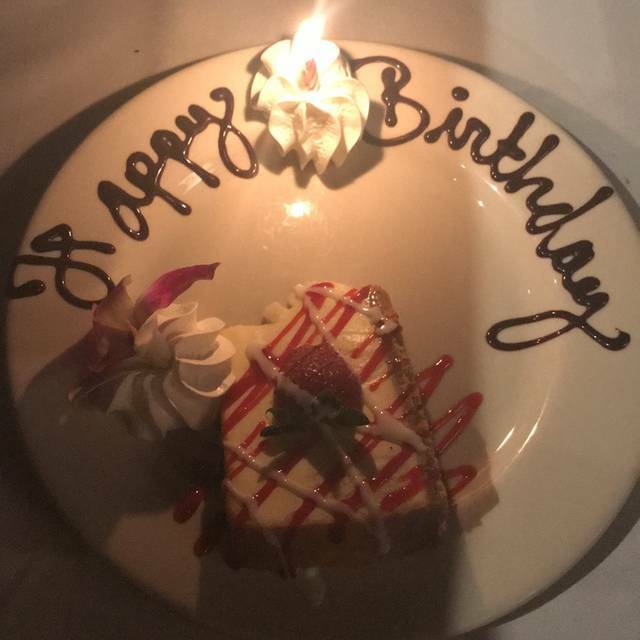 I have been to other Brazilian steak house but my son and I really enjoyed Chama Gaucha. The service was outstanding and the cuts of meat were sublime. I particularly enjoyed the bottom sirloin! Salad bar and sides were lovely! 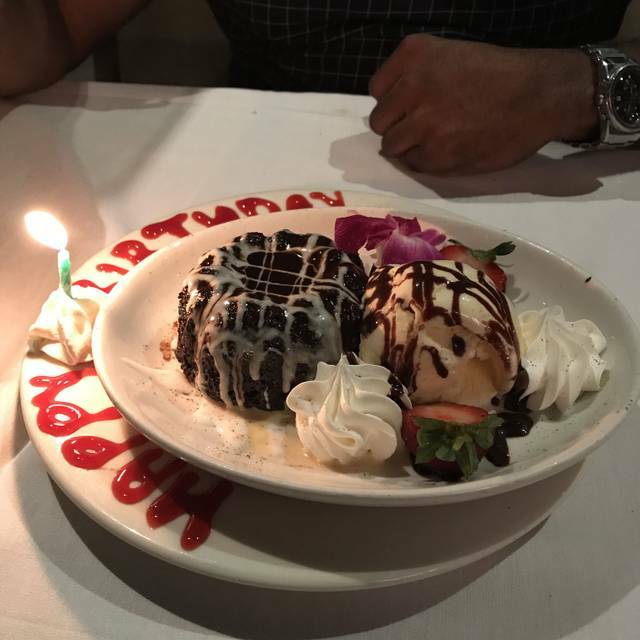 Chama Gaucha is the steak spot! Is outstanding, the service, food, drinks, everything. The waiter German is always with the best attitude. They make this restaurant something else. No other churrasqueria compares with the Quality of CHAMA GAUCHA! The overall experience was outstanding. This is by far the best Brazilian Restaurant in Houston. The only two cons I could come up with is the service was a little too much. It seemed like as soon as you took a drink from beverage there was an arm reaching across to top it off again. The other con would be the price. It is in line with similar restaurants, but I don’t feel that the overall experience is worth $150 for two (that’s including gratuity by does not include drinks or Vallet Parking). This is a top notch restaurant. The servers didn't change dirty plates until we asked for them. Didnt pour the wine bottle in time until we poured ourselves. We had to grab different waiters to ask for tea and refills. Meet was great. Valdanir and Natalielle were amazing and very attentive gauchos. Overall very good. Happy with the experience and will return. 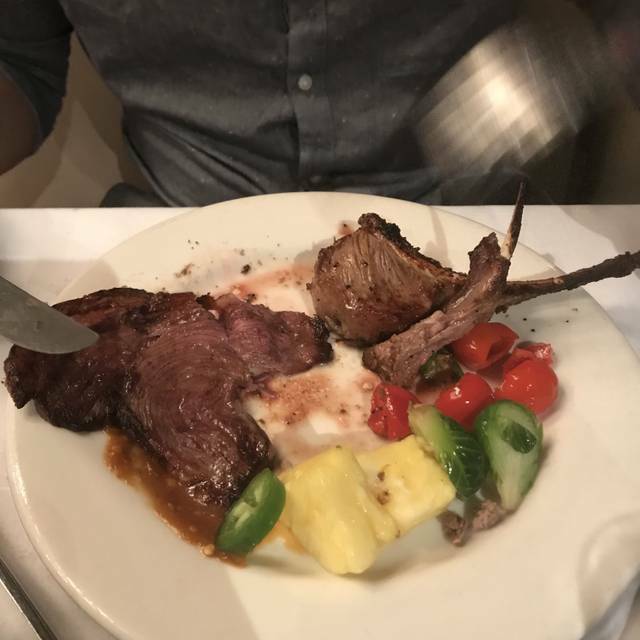 From the first time we discovered Chauma years ago it became our go to Brazilian Steakhouse. After our meal this past Sunday, I don’t know if we’ll return again. We went at 5:30 and only got a rotation of about 4 meats for the first 30 minutes of our dining. Top sirloin, house speciality, ribs and lamb chops. Then there was a break where the meat stopped despite our cards being green. After we were pretty much full, all the other meats started coming out. The parm pork, the bacon wrapped chicken and filet, sausage, etc. Often when they got to our table they were just about out and promised to return. It usually took awhile before they did. This had been nowhere when our meal started. About halfway through the meal our wait service became non-existent. We had to refill our own limeades with a carafe but then that didn’t get refilled. No water refills, no replacement of the bread that got cold. 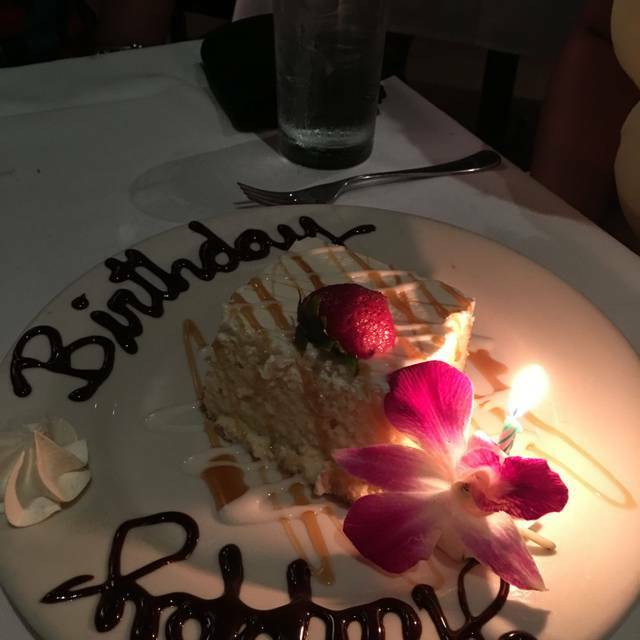 Despite putting in the OpenTable reservation that there was a birthday I still had to go ask for something to be done for my father in law. When we asked for a picture to be taken the waiter tried to hand it off to one of the gentleman in the brown shirts and he literally just walked away. The price of this place has become too much for skimping on the offerings and the poor service altogether. There are way more Brazilian Steakhouse offerings than ever so we’ll be looking elsewhere from now on. I expected better from an almost $400 meal. As a final comment, our entire party got sick over the next 24hrs after eating here. Considering our party had eaten at 3 different places earlier there was no way we had all gotten sick from anything else. 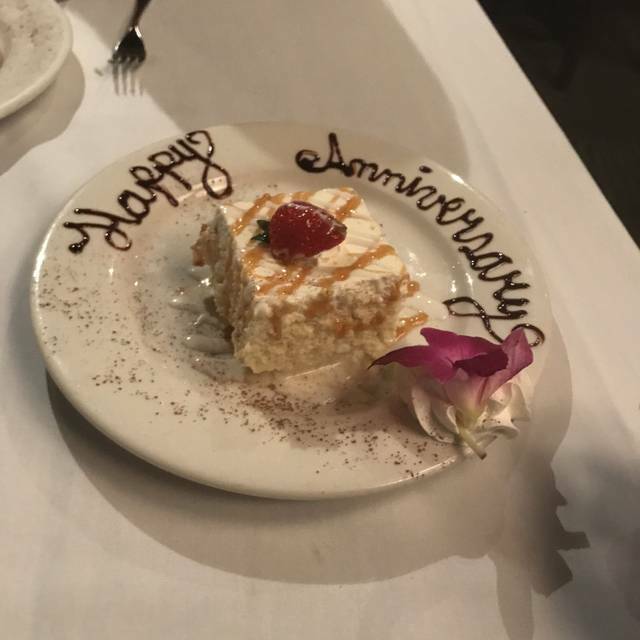 Our first time at Chama Gaucha it was an amazing anniversary. 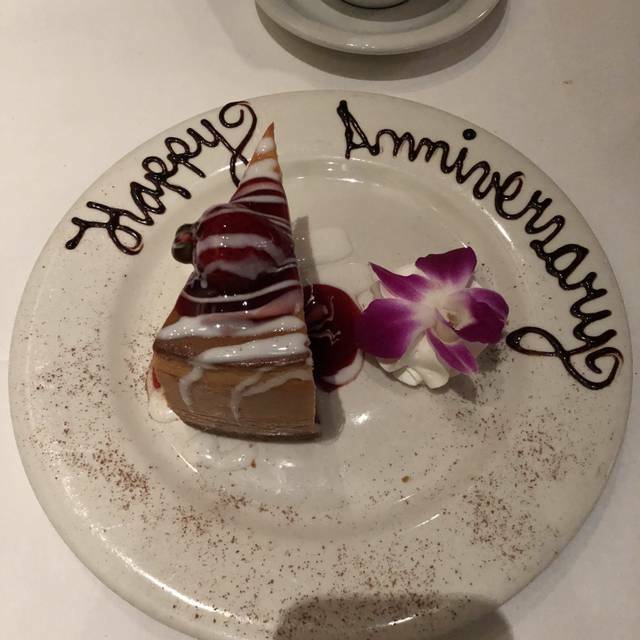 Thank you for the delicious food/desert/service we enjoyed every moment of our anniversary dinner. Loved it all . Very nice evening , excellent service . Didn't like the parking , most of the parking was for valet parking . Our overall experience was amazing and would definitely come again! The service staff was VERY attentative. I loved our main server and appreciated the tag team amongst themselves without being over bearing. The food was great! I could probably just come back for the salad bar. The only two items from a flawless evening was that the hostesses although 'nice' were dry in welcoming us and when I made the reservation I noted that we were celebrating a birthday---there was no acknowledgement of it. Great place, the quality of the food and service is outstanding, and it's been constant since they open years ago. We had a nice meal and enjoyed the place, just as we had done before. The salad bar is amazing. I was a little disappointed in the picanyah this time. It also didn't seem like we were offered as much of a variety as we have been in the past. Had the most wonderful first time experience. Definitely will be going back! The food was amazing!! Everything was just spot on. Completely blown away with the experience my family had. I absolutely love this place! The starters buffet is a great variety and the lobster bisque is on par with most places which serve bisque. Every piece of meat is about as perfectly cooked as beef can get. However, the chicken wings are the stars. It would be wise to carry some hot sauce and ask for some melted butter to have the most insanely delicious buffalo wings. My big issue with Chama is the cost of the drinks! Holy moly! We had eight or nine cocktails between two of us and the drink bill was 150% of the food and for the cost, I would expect a perfectly balanced cocktail. So, just beware that if you are a drinker, bring some extra $$$$.